Telltale Publishing today announced an exciting new partnership with developers The Fun Pimps that will see the online survival zombie game, 7 Days to Die, release on PlayStation 4 and Xbox One in June. 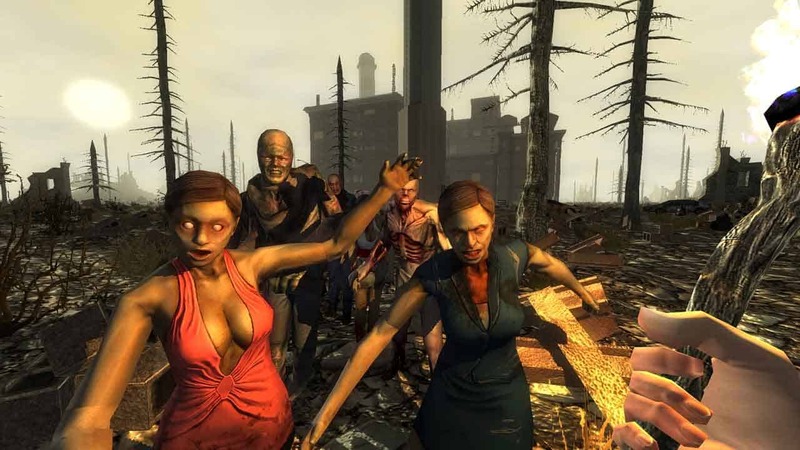 The game amassed a large following on PC with an immersive open-world survival experience set in a brutal post-apocalyptic environment that provides a thrilling combination of first-person shooter, survival horror and RPG mechanics to deliver a truly unique survival experience. Telltale will also bring with them a great opportunity for fans of The Walking Dead series as those that pre-order 7 Days to Die on either Xbox One or PlayStation 4 will get exclusive access to 5 character skins from the hit episodic series, including Lee Everett and Michonne. Launching in June the console versions of 7 Days to Die will introduce a brand new multiplayer mode that supports local split-screen co-op play, alongside the original online multiplayer modes available in the PC release.